In my previous postings, I’ve discussed the popularity in the real food circle of sprouted grains and coconuts. Yet another great type of food with lots of health benefits that we’re seeing more and more new businesses devoted to is probiotics. Organic Pastures founder Mark McAfee describes the human race as “bacteriasapiens”. We have 10 times more bacteria than human cells, so our system needs lots of healthy bacteria, which we can get from probiotics. There are many different ways to get probiotics. 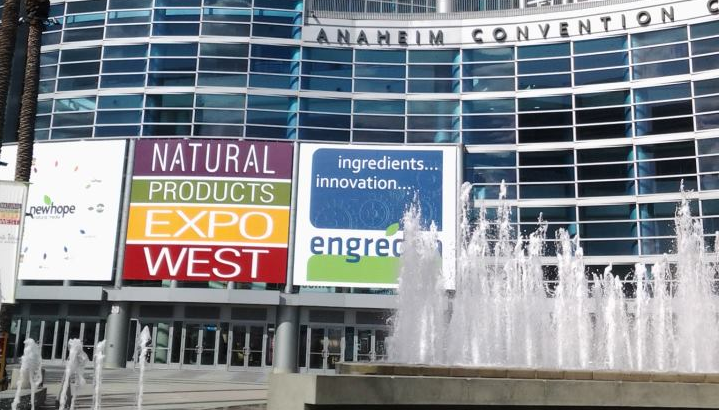 Here are several ways from some of my favorite probiotic companies at the 2013 Natural Products Expo. One of the best ways to get probiotics is through beverages. Probiotic beverages are a great alternative to soft drinks containing lots of sugars and phosphoric acid. Zukay Live Foods makes the traditional drink known as kvass. They make the classic beet kvass as well as several other flavors containing fermented vegetables. I also love that Zukay properly sources all of their ingredients, including the vegetables, which are bought mostly from a local co-op in Lancaster, PA. 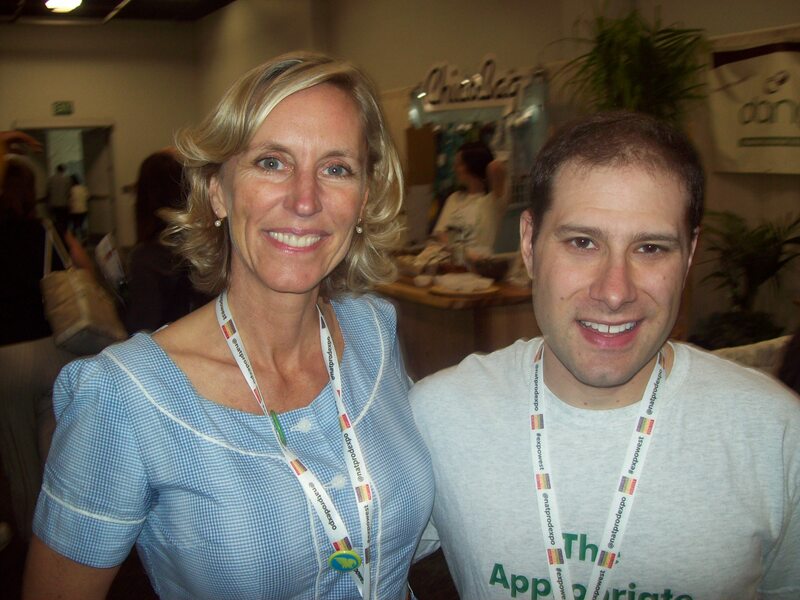 The first photo above is the Zukay founder/CEO Scott Grzybek with me. 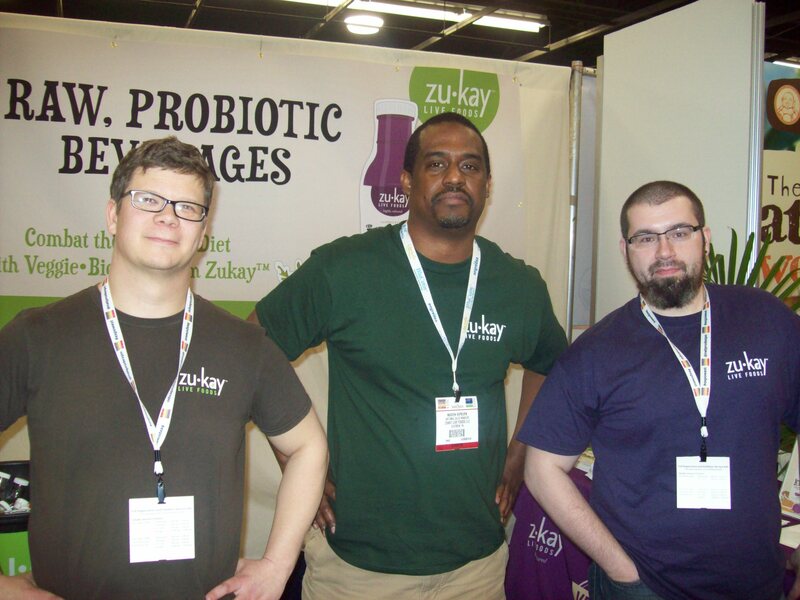 The second photo is Scott with his Zukay team. 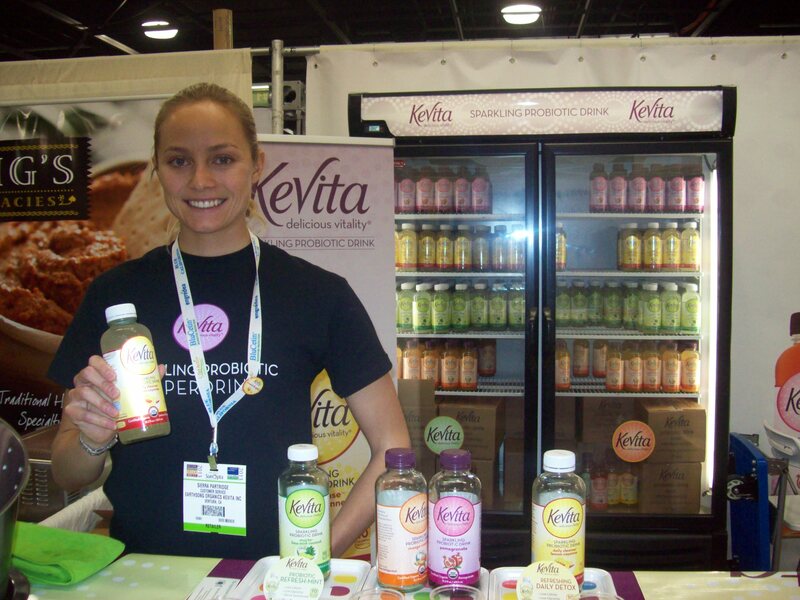 Another of my favorites is Kevita, a sparkling probiotic drink probiotic drink that comes in various fruit flavors. Many of them contain superfoods, such as coconut, acai, and ginger. I love their lemon ginger flavor. Sauerkraut is also a great traditional fermented food, filled with healthy probiotics. The way I like my foods can be best described the by the 3 S’s: salty, sour, and spicy. Sauerkraut is certainly salty and sour and now several companies have flavors that make it spicy as well. And I find sauerkraut can be served during any meal of the day, including breakfast. Farmhouse Culture is a sauerkraut that lured me in because of their flavors, combining sauerkraut with a number of my other favorite foods: pickles, jalapenos, and horse radish. And it’s also fermented. No vinegar is used for either the sauerkraut or the pickles or jalapenos that they mix in. In the first photo, owner Kathryn Lukas is with me. 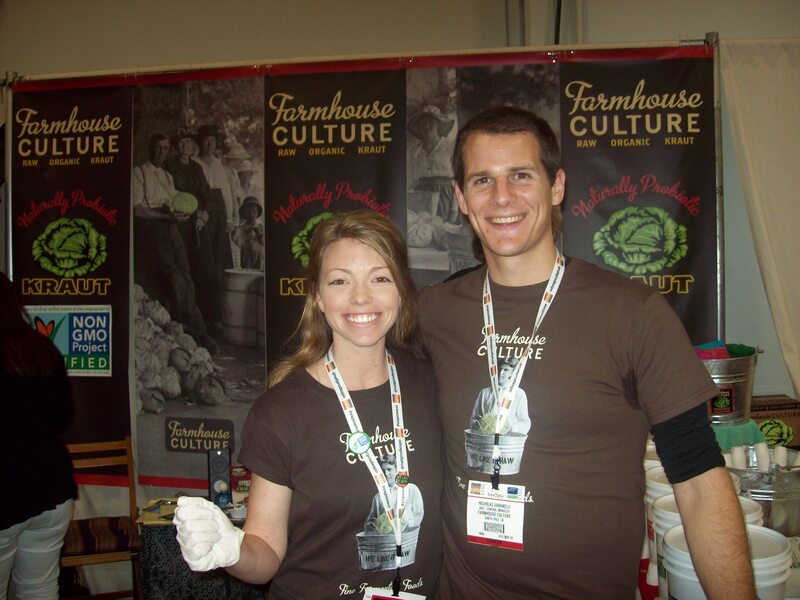 The second photo is of the other Farmhouse Culture employees at the booth. Another wonderful sauerkraut company is Wildbrine. They also have a number of unique flavors for the sauerkraut, such as dill and garlic. Speaking of dill, Wildbrine has also introduced a line of pickles. Ever since I was a little child, I’ve loved pickles. Being raised in a Jewish household, I knew about good kosher dills that were fermented. I also love pickles which are extra spicy. I’m pleased to say that Wildbrine both offers truly fermented pickles and has a bold flavor that’s spicier than your average pickle. Wildbrine makes sure people know they’re pickles are ferments as it says on their products “Absolutely No Vinegar!”. 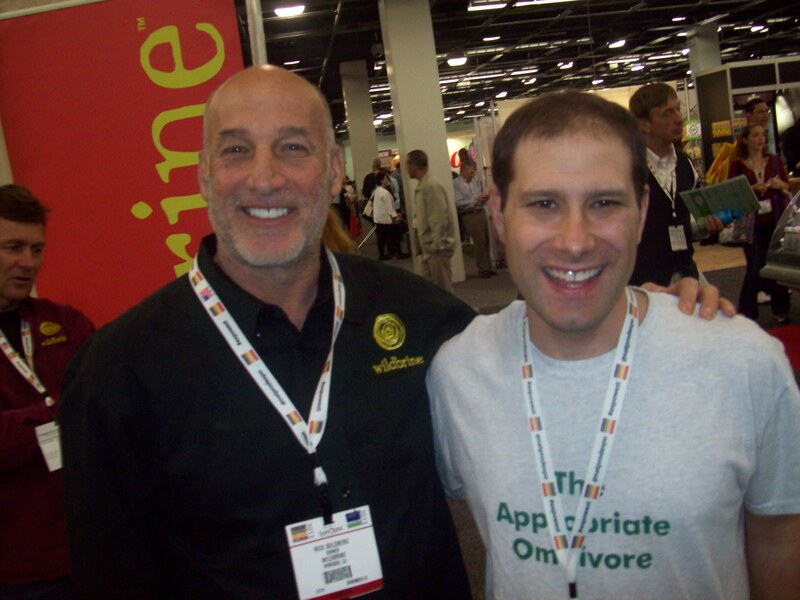 In the photo above is owner Rick Goldberg with me.